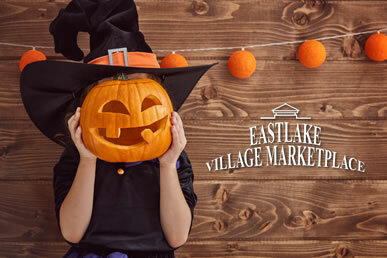 All children, ages 12 and under, are invited to come in costume, with an adult, for free candy and other treats from participating EastLake Village Marketplace merchants. Participants should simply sign in at the free registration table set up by Target or U.S. Bank to pick up an official EastLake Village Marketplace treat bag. 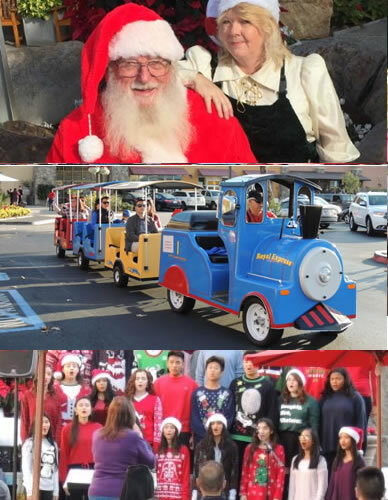 Join the fun as Santa arrives on the Holiday Express Train. Then enjoy free train rides and a free craft activity along with free face painting and balloon sculptures. Bring your camera or video equipment to capture your child’s visit with Santa. Then delight in the free musical entertainment provided by local school and church choral groups. Events subject to change and may be impacted by weather conditions.